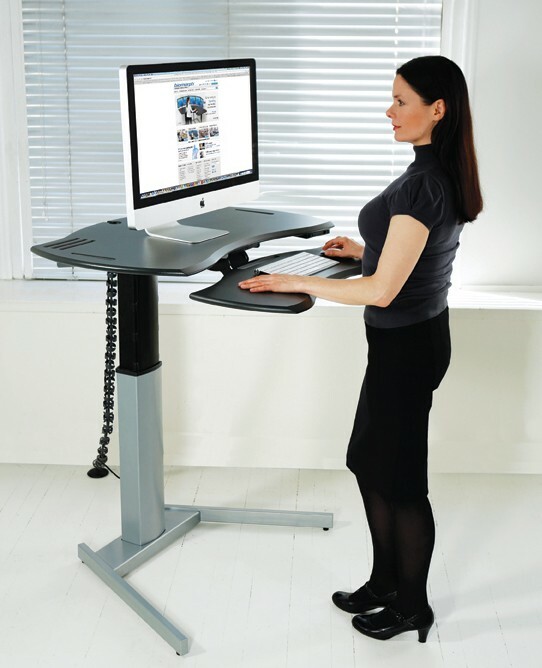 A compact, sturdy desk offering instant motorized sit-to-standing adjustment with unique surface design features and optional intuitive keyboard surface adjustment. 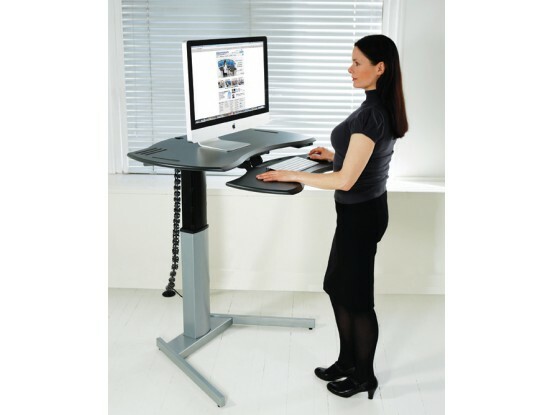 Also available without keyboard surface for laptop users, or for use with a monitor arm. Need more space? 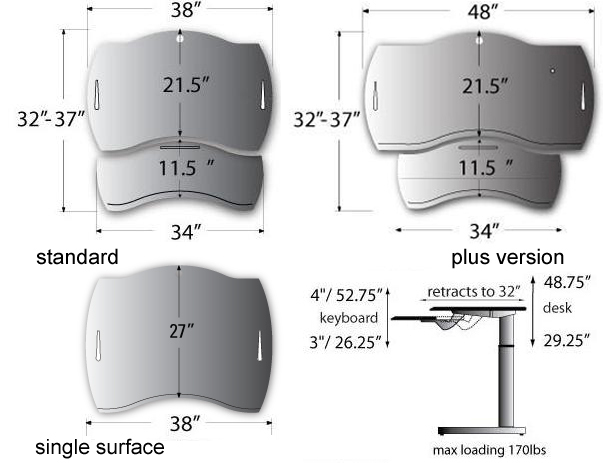 Choose the expanded Plus version with a 48" wide main surface. Perfect for home, office, healthcare and education. Innovative Ergonomics with Style: Designed to be compact, yet space-efficient, the XO2 desk allows you to organize your workscape your way. Place it in a corner, up against a wall or just let it float.